The territory of Belarus belongs to the Precambrian East-European Platform. Such areas are usually rather cold ones and there are no high-enthalpy geothermal steam reservoirs useful for electricity production. Geothermal water and brines in Belarus have temperatures from 10C at depths around 200-500 meters within the Belarussian Anteclise and the Orsha Depression to 80-110C at depths of 4-5.5 km in the south-eastern part of Belarus. Their increased and high values are typical for the Brest Depression and the Pripyat Trough. 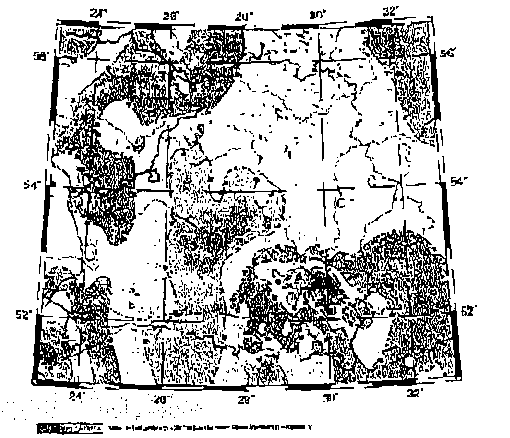 Heat Flow density for the territory ranges from below 20-30 mW/m2 for Precambrian units (the Belarussian Anteclise, Orsha Depression, the Latvian, Polessian and Zhlobin saddles) to 70-80 mW/m2 within the northern part of the Pripyat Trough. Preliminary estimates show that geothermal energy resources are equivalent 0.5 to 5-6 tons of an conventional fuel per m2 in Belarus. 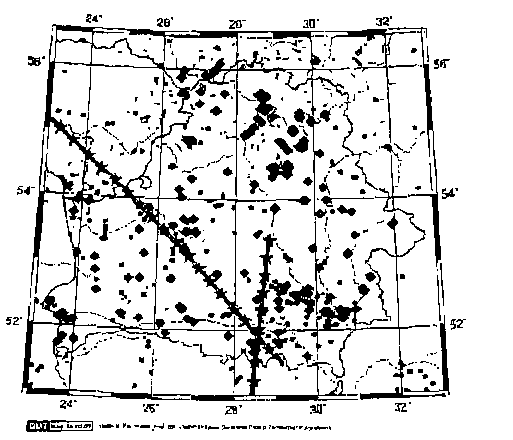 The highest geothermal potential is related to the Pripyat Trough.